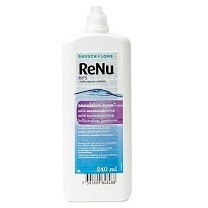 Renu Multi Purpose Solution for use with all soft lenses. One bottle is approx one months supply (contains 240 ml). Includes one FREE storage case. Be the first to write an online review of Renu All in One Solution and Case (240ml) and share your thoughts on this product with other shoppers!